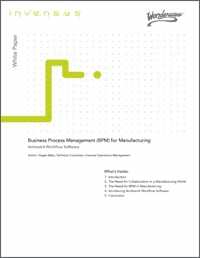 Successful manufacturing requires the alignment of many actions. The greater the coordination between the logistics, production, quality, asset maintenance, plant safety, regulatory compliance and other interdependent plant functions, the greater will be the plant ROI and ROA. Traditionally, different people manage each of these functions, usually using differing software applications. They have high need for structured collaboration and usually make the best effort to do so, but they are only human; inconsistency, error and incomplete context come with the territory. 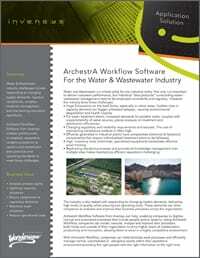 Wonderware Workflow Management’s advanced workflow software changes all that. 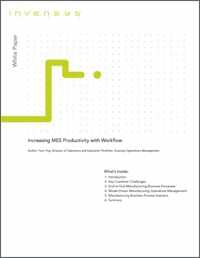 As the workflow platform for Wonderware Manufacturing Operations Management applications, it provides the capability to manage, enforce and document processes cross-company, replacing manual processes and paperwork with electronic workflows. It encompasses everything from routine operations to escalated responses to critical plant operating conditions. Synchronize manual and automated operations. 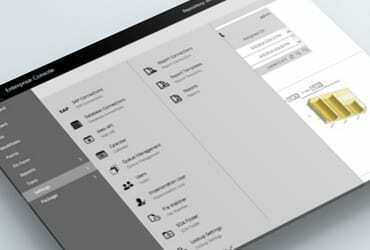 Event-triggered workflows connect people-based processes with real-time automation. Electronic forms with drop down lists and data validation logic mitigate the risks related to error-prone manual data entry processes. Easy connections to legacy and third party applications and devices maintain the existing investment while increasing the level of integration and collaboration. Reusable templates for Industry specific processes such as standard operating procedures, approvals, and work processes reduce time of deployment, set up and configuration and enforce consistency. Regulatory and standards compliance enforcement and documentation support ensures that everyone is executing on plan. 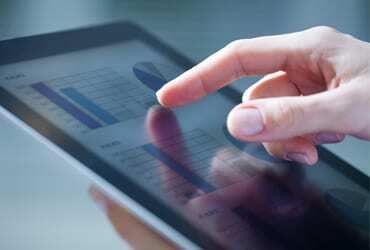 Activity monitoring tools, drill-down reporting, dashboard views and electronic signatures enable clear audit trails and improve compliance. 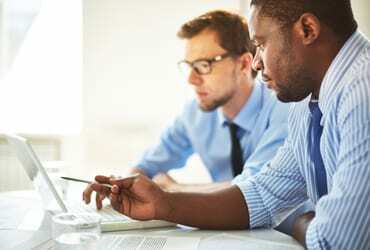 A platform-neutral Web interface and applications for mobile devices keep more of your mobile workforce connected with mission-critical processes. Electronic records eliminate the inaccuracy, rigidity and cost of paper records. Wonderware Workflow Management is an advanced business process management and workflow software for managing activity flow involving people or systems, inside or outside an organization. 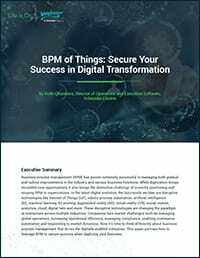 It enables companies to model, execute, analyze and improve operational processes to drive higher levels of productivity, collaboration and innovation. 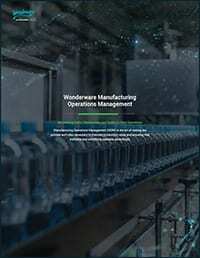 Connectivity to automated production processes through Wonderware System Platform integration and third party manufacturing operations applications allows for a true end-to-end operational process management and a platform to standardize processes across industrial enterprises. Wonderware Workflow Management differs from generic BPM software through native integration with Wonderware System Platform, with Wonderware applications and with productivity software such as Wonderware MES and Avantis EAM software. Users can trigger processes directly from control system equipment conditions and process alerts, as well as from work order execution, quality, performance or inventory logistics events in real-time. Wonderware Workflow Management can also respond to events originating in Microsoft SQL server and Oracle databases, in XML messages, Web services and other generic interfaces. It integrates with Microsoft SharePoint, Microsoft Exchange and Microsoft Office for support of enterprise systems and document and communication standards. 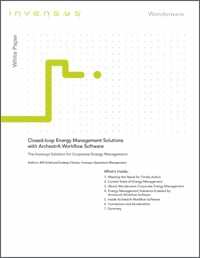 Wonderware Workflow Management provides the foundation for modeling, capturing and reusing any type of industrial process. This includes configuring, deploying and running manufacturing operations based on Wonderware software. 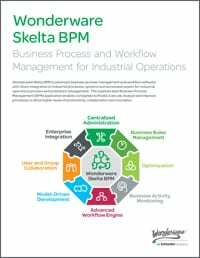 Workflow Management is part of our platform approach to integrate, simplify and standardize operational processes across the enterprise and to facilitate multi-site Manufacturing Operations Management that speed time to value and reduce total cost of ownership. Wonderware Workflow Management helps execute operational procedures to exact specifications and document the results, while at the same time increasing performance, streamlining execution and reduces cost of compliance. The software automates capture of workflow execution and data records and can enforce and track manual data entry. Electronic reports and production documents are generated in the wake, simplifying compliance and related reporting significantly. This improves compliance with legal requirements for health and sanitation, safety or pollution control and helps enforce compliance with standard good manufacturing practices or company defined standards and procedures. Workflows and attached forms can be exported as reusable process packages for deployment across multiple instances of the software, which allows for true standardization of processes across the company. 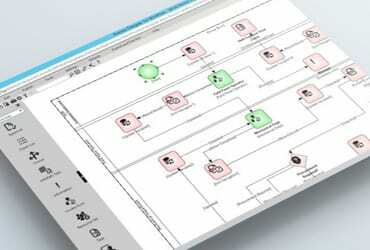 Wonderware Workflow Management shows all process steps with an intuitive, visual process and forms modeling environment. Create user input forms and associate with workflows on multiple devices, easily.